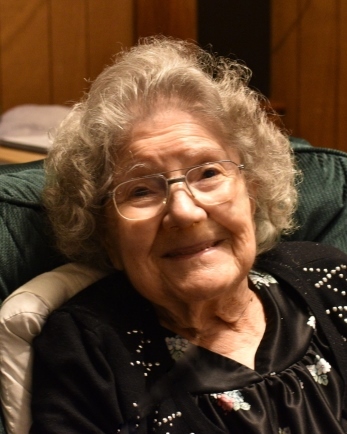 Velma Zaryske, 89, of Bryan, peacefully entered eternal rest in the arms of Jesus surrounded by family and friends at St. Joseph Hospital in Bryan, Texas. She was born at St. Joseph’s Hospital in Far Rockaway, Queens, New York, to John and Rose Horwath Korintus. She grew up in Uniontown, Pennsylvania, a small town surrounded by beautiful mountains. As a student in South Union High School she participated in cheerleading, yearbook, and reporters club. Velma married in 1948, at St. Joseph Church in Uniontown, Pennsylvania then entered Marshall School of Music to study Operatic Voice Training, Musical Theory, and Drama. She performed for 11 years in lead and supportive roles in operas such as Carmen, La Boheme, Madame Butterfly, and Rosalinda. While living in Clarksburg, West Virginia, she sang with the Clarksburg Opera Guild. She also lived in West Islip, New York and Sayville, Long Island, New York where she raised her three children. She moved to San Benito, Texas in 1979, near her sister and brother-in-law. Velma truly loved living in the Rio Grande Valley. It was here she developed a passion for exotic birds, raising cockatiels, parakeets, an African Grey, two Double Yellow Headed Amazons, and a Blue Crowned. She worked in National Advertising for both the Harlingen Valley Morning Star Freedom Newspapers and for the McAllen Monitor Newspaper. She moved to College Station and then to Bryan in 2010 to be near her daughter. Velma loved birds, especially her precious parrot, Paco. She also enjoyed watching football and basketball, spending time with family and friends, praying the Holy Rosary, and watching the Holy Mass and other programming on the Catholic Channel EWTN. Surviving family include Velma’s three children, a son, Lt. Gregory Zaryske of the United States Navy, and wife, Jennifer Zaryske of Kapolei, Island of Oahu, Hawaii; a daughter, Janine Barry and husband, David Barry of Bryan, Texas; and a daughter, Janice Musante and husband, Mark Musante of Lancaster, Pennsylvania. Her eight grandchildren include, Christopher Zaryske, Matthew, Mikayla, Mariah and Mitchell Barry, and Kaitlyn, Ashley, and Ryan Musante. Velma’s sister, Charlene Lawton, and husband, Roger Lawton, reside in Hot Springs Village, Arkansas and her dear friends, Celia and Abel Suarez, in San Benito, Texas. She was preceded in death by her parents, John and Rose Korintus and numerous uncles, aunts, and cousins. 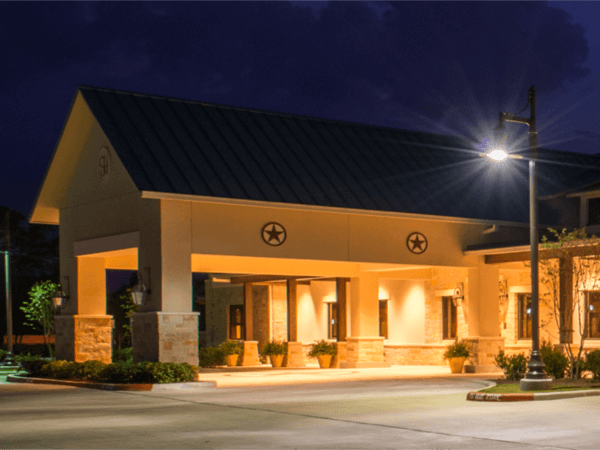 Visitation will be held at Hillier Funeral Home in Bryan, Texas, on Monday, February 4, 2019, from 5 – 8 pm with the Rosary Vigil at 6:30 pm. A Mass of Christian Burial will be celebrated at St. Joseph Catholic Church in Bryan on Tuesday, February 5, 2019 at 10 am. Interment will be at Mount Calvary Catholic Cemetery immediately following mass. Memorials may be made to St. Joseph Catholic Church and School of Bryan, Texas. In the early morning of January 5, 2019 my mother called me. She had fallen and was bleeding. I raced over, called 911, and we took her to the hospital. She had bumped her head and was bleeding profusely. After staples, X rays, blood work, and CT Scans, all tests normal, she was released to her apartment in a quiet retirement community. My husband and I, in addition to her nurses and aides, increased our daily visits. It was her strongest desire to live her last days in her apartment with her precious parrot, Paco, and not in a skilled nursing facility. God in His great mercy granted her this request. On January 9, 2019 I received a call from a neighbor. Your mother needs help. Please come right away. When I arrived she was sitting in her wheelchair. I helped her to her rocking chair and she shared with me the most beautiful gift that would later become even more significant to me. My mom has had difficulty articulating sentences for about a year and spoke in small phrases. But as she recited this beautiful vision, she spoke eloquently, with an inspired vocabulary and spiritual intellect, especially when speaking of our Blessed Mother and recalling the Incarnation of Christ. I received a glimpse of mom’s glorified state. As my mother looked around her living room, she said, “Look at all these beautiful flowers! How did they get them all in here?” I said “They are so beautiful mom!” (but I saw nothing). I began to worry. She said that six very beautiful children had been with her most of the morning. They were accompanied by a very beautiful woman. The children were drawing parrots and showing her their sketches, one child in particular enjoyed being with her. My mother had a passion for exotic birds, particularly parrots. The woman walked over to the cage of my mother’s bird, Paco. My mother asked her what she was doing. She began to open the door. A flock of the most beautifully colored birds, more vivid than she had ever seen, flew from the cage. 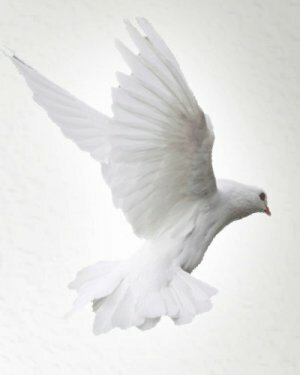 Among them were beautiful pure white birds with wings lined with gold. A cascade of yellow feathers fell to the floor. I said “Mom, why didn’t you call me?” She said that she didn’t want to leave. It was so peaceful and joyful being with them. When she tried to get close to them they would disappear but would always return a moment later. Only the woman could speak with her; the children were unable. She also saw many people outside walking by her window and wondered if the apartment had been giving tours throughout the morning. I looked over to the window, but the blinds were closed. She could not have opened them because there were boxes and a large bird cage in the way. As I assessed my mother, she spoke of the precious little white bird sitting next to her face on her pillow. She caressed the bird ever so gently with her cheek. My mom had the most precious and tender look of love on her face. I told her that we had to go to the hospital. She asked me to move the little bird off her pillow and tend to it, for it was very ill. Though I could not see the bird I very gently picked it up and told her that I would care for it. I took her to the hospital to check if she was experiencing bleeding in her brain from the fall several days prior. All X-rays and CT Scans returned normal. They sent us home. I told my mother that she had been given a very special gift, a vision, a glimpse of heaven. I believe that my mom had spent the morning with angels. She had a near death experience due difficulty breathing from her lung illness. She would have passed away that day had the angel not lead her to the front door while a neighbor was present. God did this for me, for my family, and for my brother and sister to give us just a little more time with mom. From that day forward my mother—who had watched her TV shows faithfully for many years—rarely watched television, except for mass on EWTN. I would find her staring into space and ask if she was ok. She would reply, “I’m just thinking; I can’t believe God would allow me to see angels.” She focused on praying and saying her rosary more frequently. My mom grew weaker over the next couple days as her breathing became more labored. On January 23, 2019 I watched as her strength slowly slipped away. The words of her cardiologist echoed in my mind: “When she can no longer stand up take, her to the hospital.” I said, “Mom, we need to go to the hospital now.” She said, “I want to watch mass on EWTN.” I said, “We will go immediately after mass.” The mass that day was more beautiful than ever, the choir that sang throughout the mass sounded so angelic. She had asked for coffee and towards the end of communion we offered her the cup. She could not even lift the cup to her lips. I quickly got her into her wheelchair. As we walked out the door, the most beautiful and angelic recessional hymn at the end of the mass resounded throughout her apartment. I realized then that my mom was not going to return to her home. The Lord was sending her off with this beautiful music. Tears filled my eyes. As my mom remained in the hospital in the Critical Care Unit she battled for one week the final stages of COPD complicated with pneumonia. I remained by her side so that she would not be afraid. The vision of heaven she experienced brought her great comfort. I stroked her hair, telling her that she was doing well. Her blood pressure, atrial fibrillation, blood oxygen level, pneumonia, and infection all improved. She remained on a machine (C-PAP) which assisted her with breathing since she was unable to sustain on her own. Her lung doctor said she needed to be weaned off the machine because her lungs and muscles used for breathing would grow progressively weaker. On January 28, I returned to the hospital after work. God had given me a special blessing for my birthday. My mom was alert, happy, hungry, and off the machine for about an hour and a half. I fed her the most she had eaten in days and had wonderful conversation with her. On January 29, 2019 my mom had been off the machine for about 6 hours when I arrived after work. Over the next hour her breathing labored as she fought to breathe. My heart wrenched to watch her suffer so. I asked if we could put her back on the machine but the nurse said that we need to wean her from the machine so she can be released from CCU. As her oxygen began to plummet, she was finally put back on the machine and slowly stabilized. Her lung doctor visited with me and said “Your mom is not going to recover. She needs to be taken off the machine so she can have peace and no longer suffer.” I told him that I wanted her to go peacefully to our Lord, but I could not bear to remove her from the machine that was preserving her life, and preventing her from desperately gasping for air. 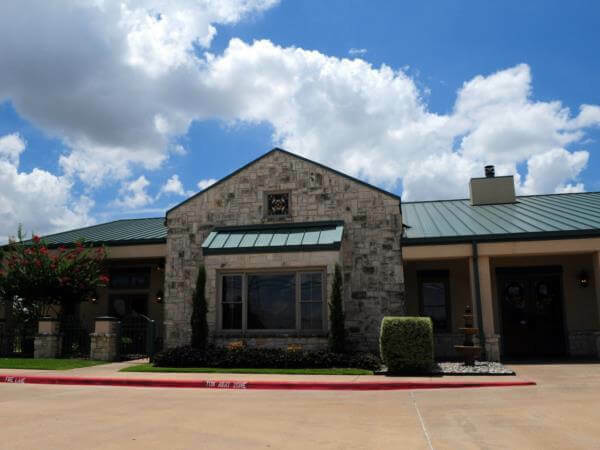 On January 30, 2019 my husband and I met with Hospice. I asked them if we could gradually try to wean her from the machine more comfortably. They would take over mom’s care. Up until this point I had been at the hospital for five days and nights and needed rest. I went home to nap and my husband and I returned to the hospital about 5pm. Her nurse said she had been sleeping most of the day. She looked over at Mom and said “Oh, she’s awake! She must have heard you.” I went over to her, kissed her head, and spoke softly to her. She was very comfortable. I told her the medicines would help her to sleep better. The nurse said she would not pass this evening but I felt in my heart that she would pass away soon. I wanted to be with her as she passed from this world. I held the phone to my mother’s ear as one by one, my sister, brother, and her dear friend, Celia, expressed their love to her. My friend, Rita, had texted me at 7:00 a.m. asking to come by and see my mom. I texted her at 5:00 p.m. but she had not yet come by. My husband and I spent time talking to Mom and gently stroking her hair. I told her how much Jesus loved her and was waiting for her. We began to pray the Chaplet of Divine Mercy as we stood on either side of my mother. As we were praying my Mom stopped breathing on her own (about 6:00 p.m.) but the machine continued to breathe for her. The nurses came in and said they can stop the machine and let her pass. We said that our friends, Deacon Ron and Rita, were coming and asked if we could please finish praying the Chaplet of Divine Mercy. Mom’s heart rate had slowed to 30 bpm by then. We finished our prayers; several minutes later mom’s heart stopped. (6:15 p.m.) At that very moment Deacon Ron walked in (Deacon from St. Thomas Aquinas Church). He immediately gave her a blessing and prayed for her soul. The nurses turned off the breathing machine. His wife, Rita, walked in. Ron anointed mom with holy St. Joseph oil and prayed the Catholic prayers for a body that has just died. We recited many prayers for her over the next hour. I felt tremendous peace. Mom truly passed peacefully into our Lord’s loving arms. God heard my prayer: I couldn’t bear to stop that machine and let her suffer before she passed; she did not have agonizing breaths, even after passing. She went so peacefully into our Lords arms at 6:15 pm. God allowed us to be with her as she entered into eternal rest within His loving arm. The Vision of Heaven and the Angels gave my mother peace and dispelled the fear of dying. Her glorified state of recalling the vision. The angel led mom to the front door for help. God gave us the gift of 3 more weeks to the hour to be with mom after her vision. Mom focused on prayer during those last three weeks, the world no longer mattered. The glorious and angelic music filled her apartment as she left it for the last time. Her lung doctor told me that in the Emergency Room, one week prior to her dying, he had told the hospital staff that she will not make it through the night. When he saw her 2 days later fully alert and breathing, he was in disbelief. My mom and I had special time together on my birthday, January 28. We were able to recite the Chaplet of Divine Mercy as she was passing. God allowed us to be with her as she entered into eternal rest within His loving arms. Deacon Ron was able to anoint my mother at the very exact moment of her death. My pain of sorrow grew so difficult as my mom grew weaker. Tremendous peace, joy, and grace from God overcame me and carried me through the final moments of my mom’s life. Mom did not have to live in a nursing home at the end of her life. I couldn’t bear to stop that machine and let her suffer before she passed; we did not have to make this choice. God did. She experienced no agonizing breaths the last day, even after passing. At approximately 5:00 p.m. on January 30th my brother on Military Operations in California was out in the field during training exercises. Soaring and circling above him were seagulls. Suddenly one of the gulls fell from the sky and landed at his feet and died. About an hour later my mother enter eternal peace. My brother did not know that my mom was going to pass away that day. We thought she would be with us several more days. I am forever grateful to my Heavenly Father for allowing my mother to pass so peacefully into His Loving Arms.